Gordon J. Calhoun represents individuals, partnerships, corporations and other business entities in litigation and counsels them about a broad variety of business, regulatory and risk and information management protocols, including data breach responses, and compliance practices. Mr. Calhoun also specializes in representing clients in a variety of complex, large exposure litigated matters, involving large volumes of paper and ESI. These matters have included disputes involving fiduciary breach allegations against officers, directors, pension trustees and their advisors, bad faith claims against insurers and allied professions, errors and omissions claims against professionals, including attorneys, accountants, architects and engineers, brokers and claims professionals. He has also handled large litigated matters, with voluminous paper and electronic records, involving heavy metals and petroleum environmental contamination and large fires and explosions. Mr. Calhoun works regularly with a team of Lewis Brisbois attorneys and a variety of forensic consultants and certified records managers to assist clients to develop information management systems and to secure sensitive data. One side benefit of this effort to maximize access to an enterprise’s intellectual property contained in its electronically stored information (“ESI”) is to minimize the burden imposed on the client when it becomes a litigant subject to electronic discovery demands. When data breaches occur, our team coordinates with the client’s Information Technology staff, forensic and crises management consultants to identify and contain the source(s) of any data breach, mitigate the reputational harm associated with the data breach and comply with applicable data breach notification obligations. Lewis Brisbois attorneys have been successful defending clients in data breach litigation. We have successfully resisted class certifications involving unintended disclosures of social security and credit card numbers. We have also represented clients who have experienced unintended disclosures of personal health information protected by HIPAA and other federal and state privacy laws. Mr. Calhoun serves as Chair of the Electronic Discovery, Information Management & Compliance Practice and manages the insurance regulatory and reinsurance division of the firm’s Insurance Coverage and Bad Faith Practice Group. 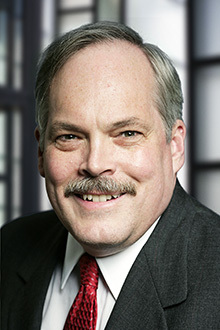 His practice, spanning more than 35 years, focuses on arbitrations, mediations and other alternative dispute resolution procedures as well as litigation and counseling.